This month on The 95.9 Company Break we talk with Frank & Donna Celico about The Wine Store Warehouse and their recent trip to Denver, CO to attend the Beverage Dynamics Annual Retailers Convention. 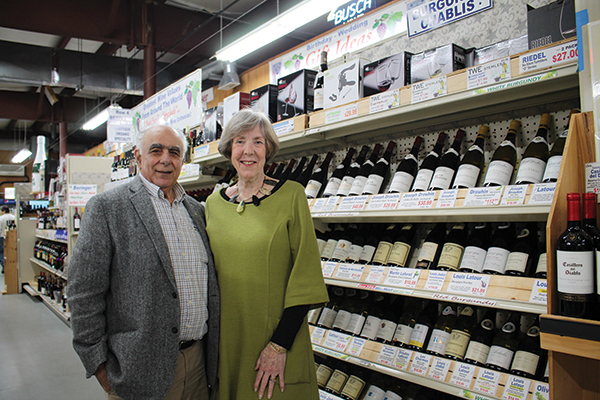 The Wine Store received a repeat "Retailer of the Year" award in a national competition. A result of their attendance at the convention is the creation of a new in-store customer information center featuring promotions, current specials, and unique events. You can even find out what Donna focuses on in her monthly radio commercials on WCRI. The Wine Store Warehouse is a family owned business, serving Westerly, Rhode Island, and the surrounding community for over 30 years. They strive to provide their customers with an unrivaled shopping experience. Looking for a bottle of wine to enjoy with dinner? Planning a drink menu for an event? Their knowledgeable staff and extensive inventory will always ensure that your needs are met. Call 401-596-6160. The Wine Store, Route 1, Westerly. Look for the giant wine bottle!